After drying, the natural sweetness in sweet potatoes is concentrated and enlightened. 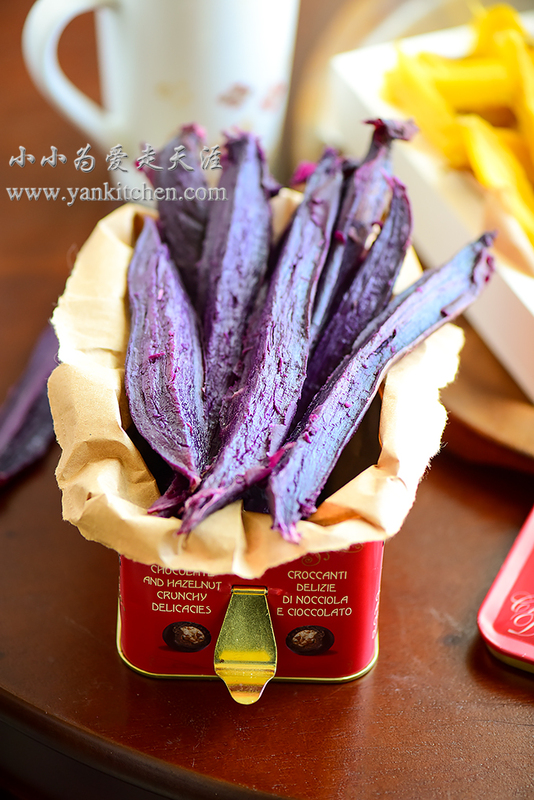 Dried sweet potatoes become soft but chewy in a very pleasant way. It is kind of like eating gummy candies, but with intense sweet potatoes flavors. 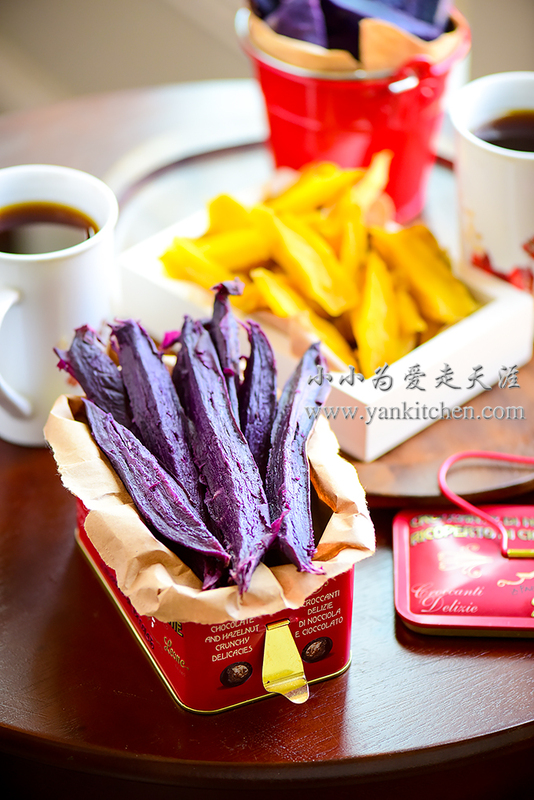 There are several kinds of purple sweet potatoes available in the market. I have two varieties here plus some regular yellow color ones. Set up a vegetable steamer in a large stainless steel pan. Add sweet potatoes to the steamer. Add water. Heat over high heat until the water boils. Reduce the heat to medium and continue to steam for another 30 to 40 minutes. Time needed depends on the size of sweet potatoes. Larger ones will take longer to cook through. This is one of my favorite purple sweet potatoes. Look at that gorgeous the color inside and out! Peel all the sweet potatoes. Cut them into long trips, and place them half inch apart from each other on dehydrator racks. Dehydrate them in dehydrator for 8 to 9 hours. Again, the actual time needed depends on the size of sweet potatoes and personal preference for their softness/ chewiness. 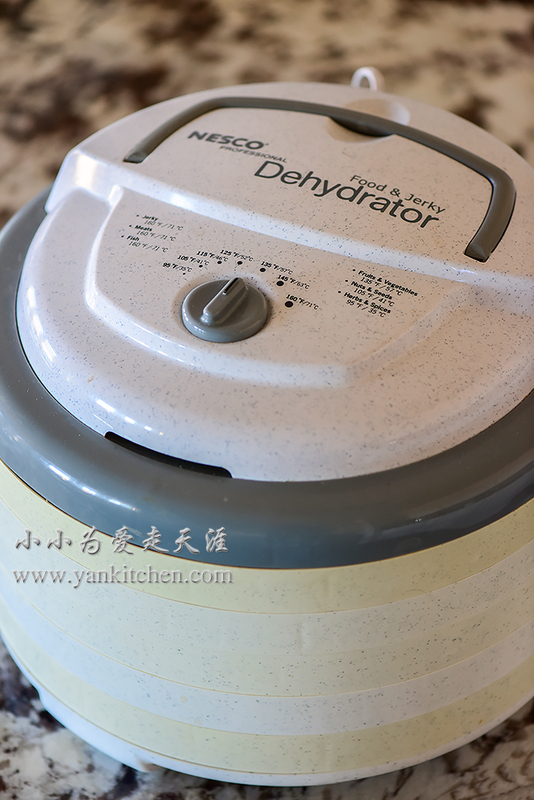 Remove sweet potato strips from dehydrator. Store them in a large Ziploc bag overnight or for at least a couple hours, which helps to redistribute moisture within sweet potatoes strips and they would taste much better. These are my favorite. They are sweet, gorgeous and have the best combination of softness and chewiness. 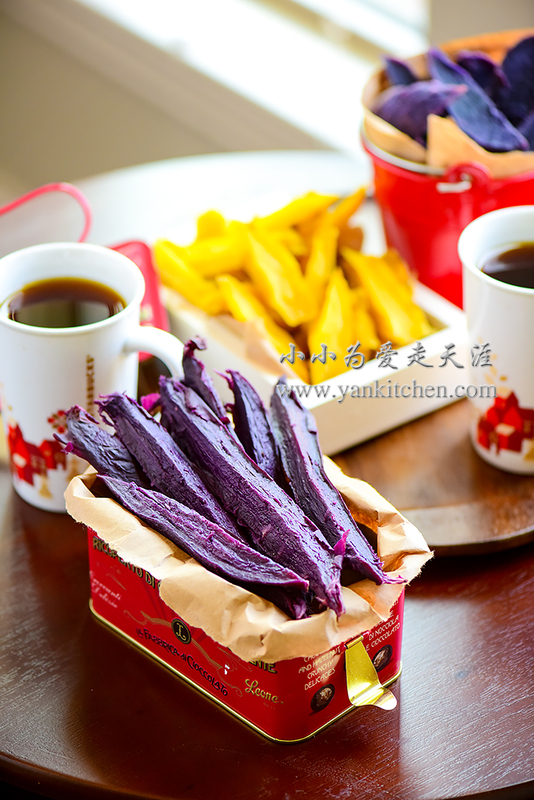 These purple sweet potatoes which come with white skins taste a bit dry and starchy. They are good, but not great. The yellow ones taste very much like the ones from my childhood. Love them too.